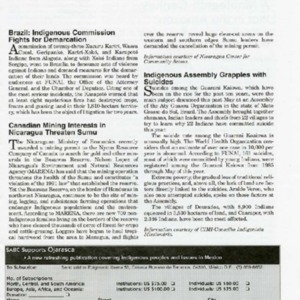 The Brazilian government continues to ignore crimes against indigenous peoples. 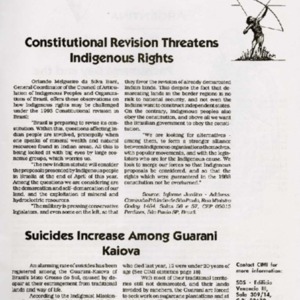 Trauma associated with the Guarani having been forced to leave their ancestral lands and lifestyle is thought to be the reason behind the recent trend in suicides in the community. 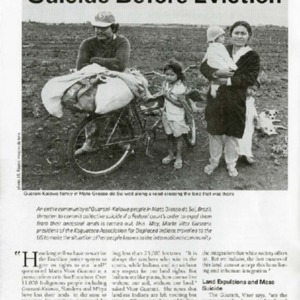 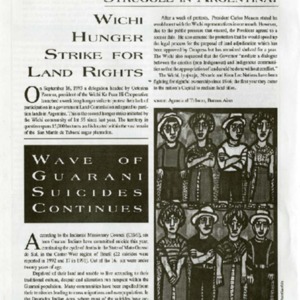 The suicides of sixteen Guarani Indians in 1993 linked to displacement and land deprivation of the Guarani population in Brazil.